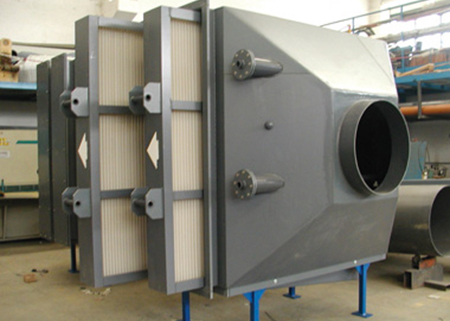 In the vision of offering an integrated service to companies, Syntech designs and develops fume abatement systems to improve the quality in the workplace according to the Legislative Decree 81/2008. The aim is to neutralize the particles that are released during the industrial process otherwise harmful to people’s health. 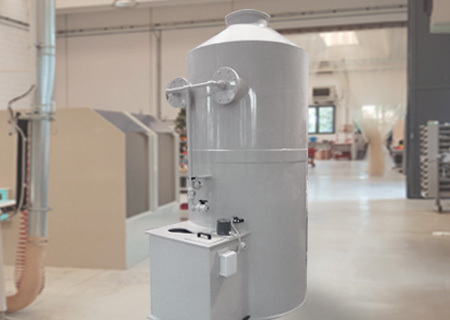 The Scrubbers, designed for the washing and neutralization of highly corrosive gases , are of monolithic construction with easy transport and installation. Designed to retain the chrome vapors with special special profile separators to ensure maximum efficiency on air quality . The compact design makes them easy to transport and install. 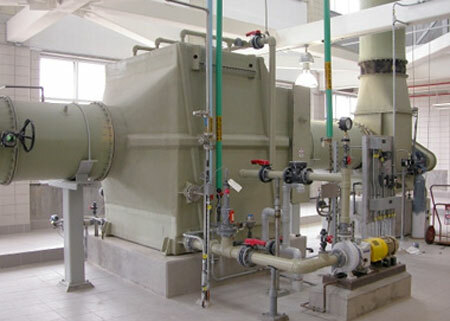 The Syntech industrial humidifier has the function of humidifying the air coming from the waste storage centers and of introducing the air in the Biofilters with maximum efficiency . 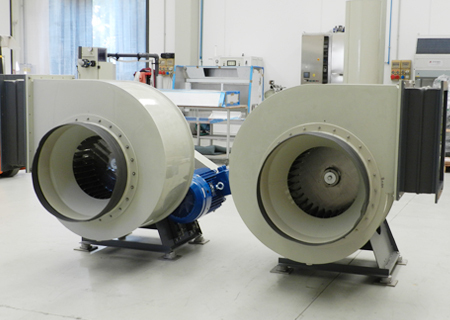 Syntech industrial electric fans have the distinction of being made entirely of plastic ( PVC – PP ) to resist the chemical aggressions of the aspirated vapors and thanks to the constructive shape of the impellers guarantee a low noise level. DO YOU WANT MORE INFO? Click here to contact our technical department directly.